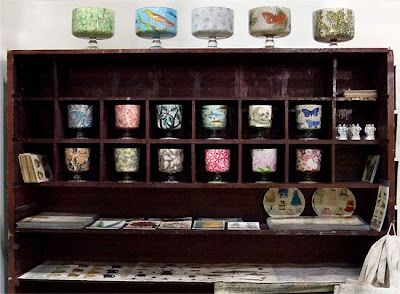 In case you're not familiar with John Derian, he creates handmade decoupaged designs right from his studio in NY, where he employs a small staff of artists to assist with production. 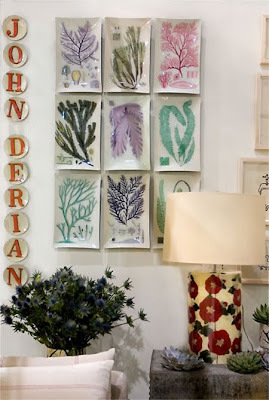 His designs are so fresh and unique, as you can see via the snapshots (taken right from his website) of the John Derian Company booth at the recent New York International Gift Fair. 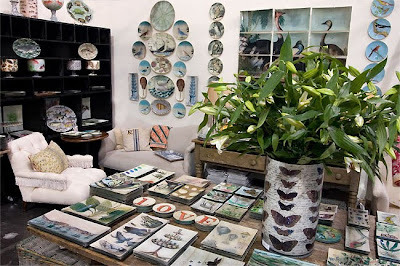 This "booth" looks more like a living room filled with beautiful found treasures...I could move right in! 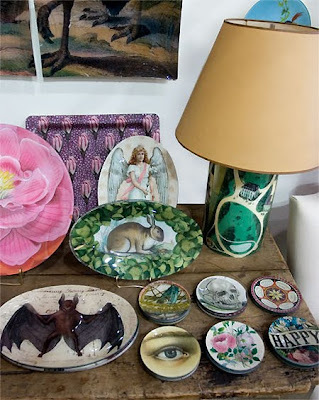 Click here to see his entire Decoupage Collection. oh my gosh, how fabulous. seems like a lost art, but he's revived it and in fashion :) i can't tell yet what i'm drawn to most, but the seaweed, is a strong first. 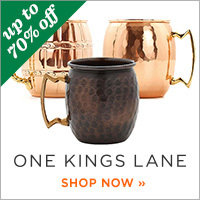 fab find! What a diverse assortment, they are wonderful. Thanks for sharing this great find. You're right, the booth does look like a living room ~ very inviting! 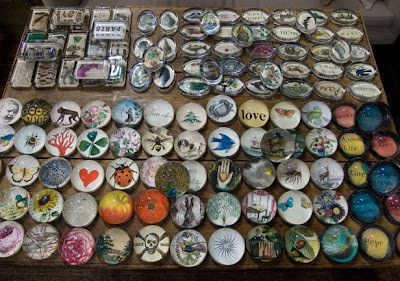 I love the paperweights! 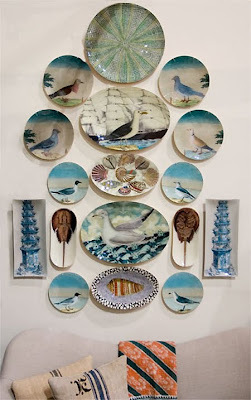 I always love John Derian's work so much! It's always so refreshing and creative- things we haven't seen a million times before. Great post! 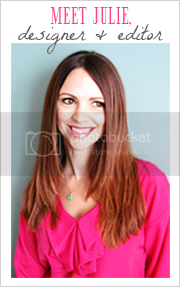 Keep up the great blog work! 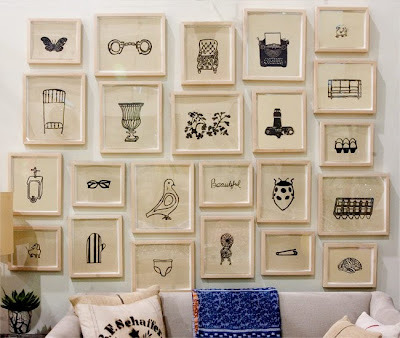 Wow, so many wonderful pieces! 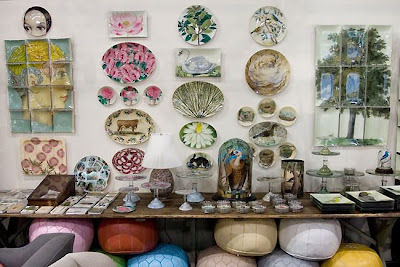 I really love the paperweights & the cache pots. Thanks for sharing. 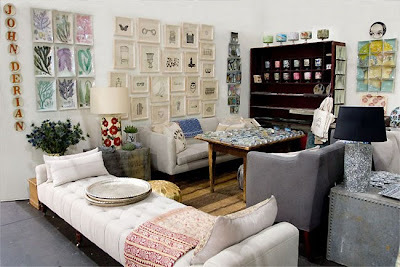 We are always looking for fabulous finds.